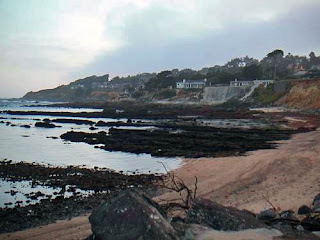 This week I blog from beautiful, historical Monterey, California where I am attending the Marine Image Analysis Workshop hosted by the Monterey Bay Aquarium Research Institute and the Seamount division of the Census of Marine Life (CENSEAM). So what brings nearly 100 of the world's taxonomic, oceanographic, ecological, and other deep-sea scientists together like this? Its like this: Global exploration of the deep-sea has expanded and MANY oceanographic, marine resource organizations, and academic institutions have stepped up their usage of video cameras, submersibles and other devices, such that there is a HUGE quantity of high quality video from various surveys and so forth. There are 70 representatives from 17 countries in attendance ALL representing other institutions with video collections JUST LIKE the one MBARI has! Yow! So, as part of an effort to recognize the various multitudes of organisms that deep-sea biologists from SEVENTEEN countries have been observing, they have attended this workshop featuring ELEVEN of the world's foremost taxonomic experts on different deep-sea animal groups!! There are three solid days of workshop. Day 1 (today-Monday) included sponge presentations by Dr. Reiswig and Dr. Bill Austin we also saw some awesome talks on deep-sea fishes by fish biologist/ecologist Greg Cailliet from Moss Landing Marine Labs, Bob Lea formerly of the National Marine Fisheries, and Tomio Iwamoto, curator of fishes at the California Academy of Sciences. The oral sessions are followed by workshops headed up by the experts, who then proceed to assist in identifications of picture files and discuss the animals. Think of it as sort of "Antiques Roadshow" style...but instead of someone who discusses old antique chairs..its your latest pictures of deep-sea zoarcid fishes! We quickly discover expanded and accurate bathymetric and other data. You can often discover NEW species! My presentation & all of the echinoderm talks is Tuesday!!! 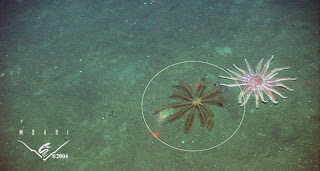 next week...Blogging from the Deep Sea Image Taxonomy Workshop at MBARI in Monterey, CA! Next week, I will be attending and blogging from the Marine Image and Analysis Workshop being held at the Monterey Bay Aquarium Research Institute (MBARI) in Moss Landing, CA (near Monterey, CA)!!! The gathering aspires to share taxonomic knowledge between ELEVEN biodiversity/taxonomic specialists and over 70 participants !! (who hail from a variety of fields) so that an increasing number of persons can recognize the huge amount of life which exists in the deep! This is something that has become especially important given the huge increase and importance of video and other imagery which has become available from submersibles and other deep-sea imaging. Looking forward to sharing what I learn and experience from California next week!! This week...some SECRET stuff going on!!!! more on this later! Next week...Blogging from the Deep-Sea Image Taxonomy Workshop at the Monterey Bay Aquarium Research Institute in Monterey, CA!! What? So, you wanna know more about Leptasterias? ha! Well, ask an ye shall receive!!! These are a follow up to the last post and are taken from various papers by Bingham et al. 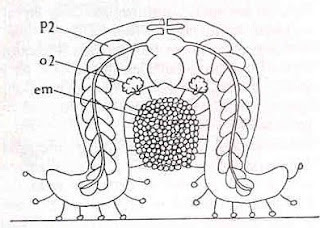 (2004), Foltz et al. (2008) and Pearse & Beauchamp (1986). The best known Leptasterias spp. 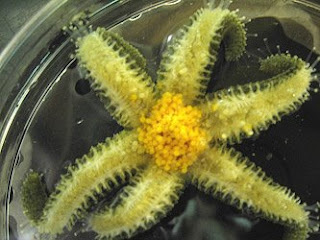 are the Leptasterias "hexactis" forms from the west coast of North America and Leptasterias polaris in the Arctic/North Atlantic.. The California forms brood from Jan-Feb-March-April and take 6-8 weeks to develop. Larger adults produce larger embryos- a doubling of arm radius in brooding females resulted in a 3 to 4 fold increase in egg production. Larger females produce more eggs but have a harder time carrying them completely through the brooding season. 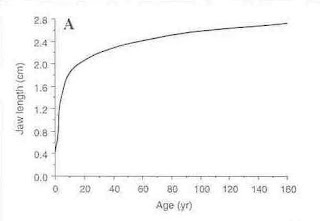 If "quality" and success is related to overall egg volume, then its possible that egg volume an size is possibly a predictor of survival to the juveniles. How long has Leptasterias been around? Based on some recent work by Dave Foltz and colleagues (including myself) we used several gene markers to estimate how recently the various sister species of Leptasterias diverged! So, all basically, all of the 'species complex' stuff I wrote about earlier? When did that happen? That usually suggests a relatively recent speciation time frame. They diversified/speciated/or whatever you want to call it, ONLY about 0.5 to 1.2 Millions of Years Ago (Mya)! Geologically, that's quite young..but put this into context for people reading this? 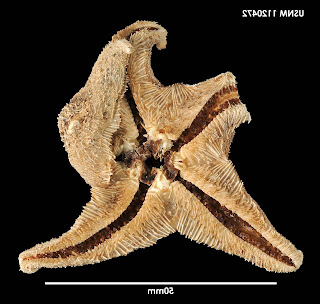 This starfish likely speciated in the Pleistocene. 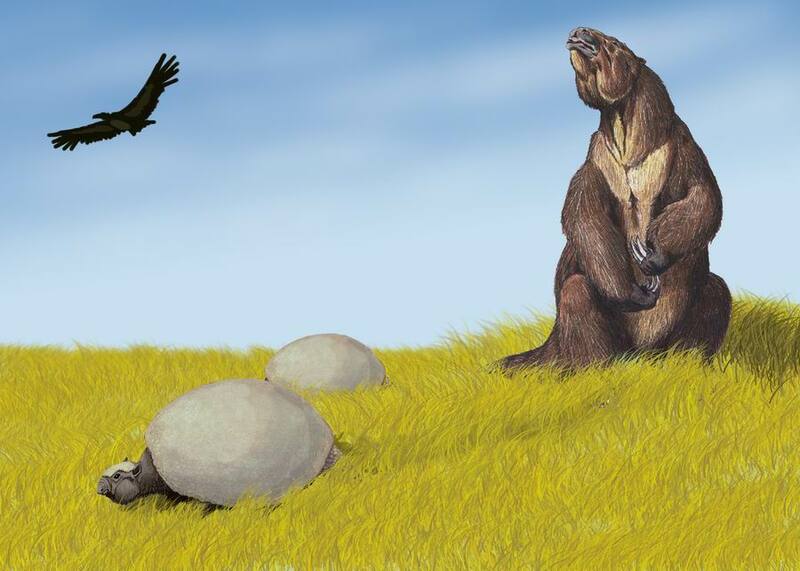 What else happened in the Pleistocene? 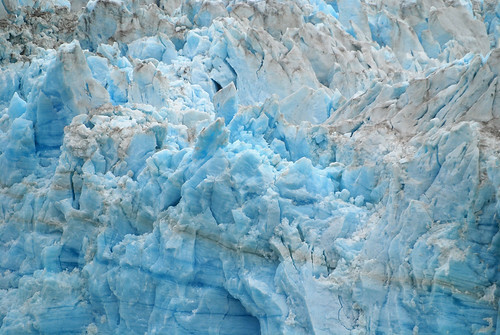 There were glaciers. A LOT of them. Some 30% of Earth was covered by ice. ....and THAT is the rest of the story! 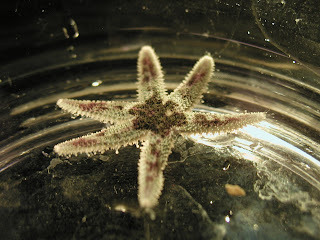 A Big Deal over a Little Starfish: The Leptasterias Species Complex!! 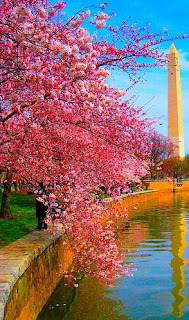 Ah Spring! As the sun emerges and the tides on the west coast go out, so also the many marine biology students! And so too come the many welcome questions!! Its commonly found and is quite a resplendent little animal (in California only about 1-2 cm across). Leptasterias is quite widespread, extending from the North Atlantic through the Arctic to the cold-temperate North Pacific (Alaska to Southern California). 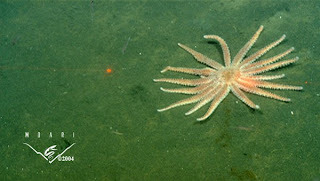 The species in California are nearly always SIX rayed, but the ones in the Arctic and the Atlantic are often five rayed. They are often found to brood eggs and juveniles (but this is a story for another day). Leptasterias is a great example of how evolution is both a vexing puzzle and fascinating conundrum for the interested biologist. How can something that is so well known, and play such an important role in our understanding of marine ecology ALSO be so evasive that we don't even know what to call it??? a group of species which satisfy the biological definition of species, that is, they are reproductively isolated from each other, but their morphology is very similar (in some cases virtually identical). Put another way, this could be interpreted as sort of a "snapshot of evolution" in the works...There is such subtle divergence among closely related species that they we can barely tell them apart!! 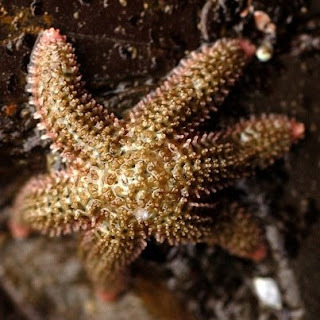 Since the late 19th and early 20th Century, scientists, such as pre-eminent starfish biologist Walter K. Fisher at Hopkins Marine Station, have recognized the difficult lines between species along the west coast of North America. Leptasterias spp. 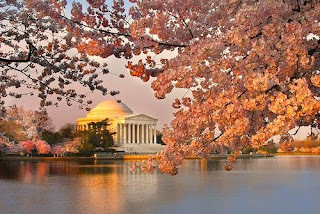 are found in Southern California up through Oregon, Washington to Canada, Alaska (and the Aleutians) up through the Arctic Circle and down into the North Atlantic. At the far ends of where they are found they differ substantially.. But between any two "species" that are physically close to one another? The external features that are used to tell them apart becomes REALLY close. 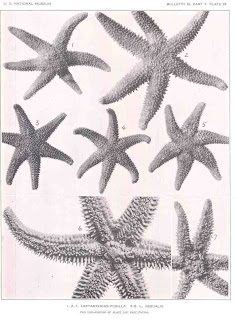 Several Leptasterias spp. in California for example-L. aequalis, L. pusilla, L. hexactis. All of the names have gone back and forth into synonymy about what is "valid". Walter K. Fisher identified dozens of "forma" and "subspecies" when he formally monographed the species in 1930, making identifications difficult at best. 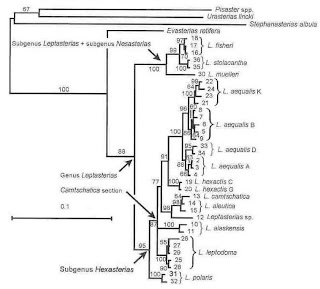 In the mid 90s, David Foltz, a population geneticist (and colleague) at Louisiana State University in Baton Rouge and student Jon Flowers got involved with the Leptasterias questions and he applied a variety of allozyme and later molecular tools towards the many species of Leptasterias and its near kin. Results can be found in a great many of his papers including this one, this one and this one. 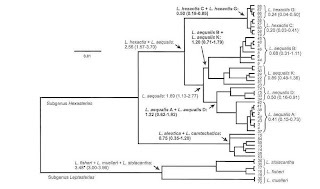 They sampled primarily from Alaska to California and discovered several different lineages of Leptasterias...especially in California where they identified 6 apparently distinct cryptic species in Leptasterias "hexactis" and "aequalis"!!! So, what do you call these? Right now, this is a pretty tricky question which I typically answer as good news/bad news. What's the bad news? We are only at the first step. What comes next is the 'synch' up between the molecular /DNA characterisation of the species in Leptasterias AND the taxonomy. More taxonomy will need to be done to follow once the above gets done. What's the good news? We have a good idea what's going on and it seems pretty clear about what will need to be done. So, the issue is NOT that the taxonomy itself is hopelessly confused (altho it IS very complicated) but that it just hasn't caught up with some of the more.... formal nomenclatural "loose ends"...Give it time! Believe it or not, Leptasterias isn't the "worst" species complex problem/question known out there... (either on the west coast of North America or the world....)!!! The Natural History Museum & How You Describe a New Species! This week, some "behind the scenes" action about the process of discovering a new species!!! So, everyone hears about this. New species are discovered daily. Journals are filled with them and statistics repeat how many are found per year. But really, what happens? So, how does this whole "describing the world's biodiversity" thing work, exactly?? and WHY are Natural History Museums SO important to the process??? 1. Exploring the Collection. So, every museum I've ever been to has what's called "the backlog". This is an area (or areas) set aside in the museum collection where all of the incompletely identified material is kept. BUT most museums don't always have the resources to completely identify and process all of the specimens they've collected. Big museums often receive specimens from all over the world. The Smithsonian has stuff from everywhere in the world. Paris, Cal Academy in San Francisco..every primary natural history museum has material collected from all over the world. All these big international expeditions you hear about? 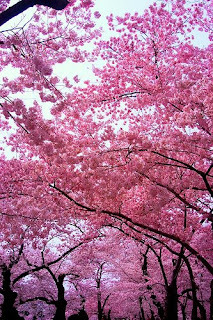 Like this one and this one? If specimens are collected, they end up in a big museum. 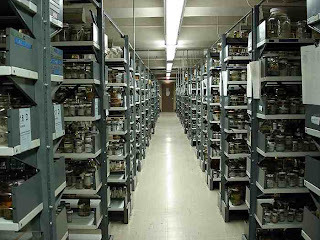 Most museums don't consider a specimen "done" until its been identified to species (or subspecies) and, so they go into a special holding area to await a time when a knowledgeable person can go through it. The wait for such a person can literally be YEARS. This lag in finding experts to help "shrink the backlog" can be for many reasons, none of which are mutually exclusive. So, when a specialist DOES reach this collection?? Its a win-win. The museum folk are usually happy to tie up this HUGE "loose end" and get the collection put away, cataloged and available to the scientific community. The expert/researcher gets to spend a big chunk of time going through a bunch of specimens with the possibility of discoveries!!! Older, previous collections may often come from surprising or unusual places: deep-sea, distant seas, localities that are now gone or difficult to access for political or other reasons. While travelling to these places-I have spent up to a MONTH just going through 'backlog' collections. So, you find something you haven't been able to identify as a known species-what next??? 2. The Study/Comparison Process. 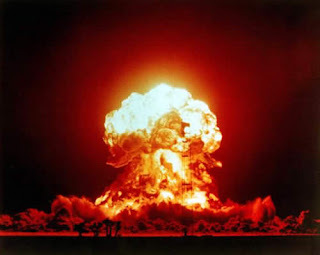 Next thing that happens? You need to make sure you got something new!! and not just something known. And of course, where you don't have specimens, you often need to fall back on the scientific literature for comparative descriptions of other similar or dissimilar species. This can often be very tricky because the animal in question may be VERY close to something that is known and specimens are the best way to compare features. During this process, its often common to actually discover MORE new species. Mainly because when you learn the taxonomic 'concept' of the known species (i.e., what the original author used to distinguish his/her species) you get a good notion of what a separate and new species would be like. 3. Description & Analysis. The next step is to compare and describe your potentially new species relative to what's already known. This usually involves describing the new species in highly specialized terminology outlining the specific features, especially as they pertain to similarities across ALL of the known species. So, if all of the species you look at have a big glassy knob, then you look at how that glassy knob varies (if it does at all) across all of the species you're trying to compare it against. Its often common practice to describe new species in the context of a phylogenetic analysis. And that usually involves further processing different characters (whether from morphological features or DNA) from the subject animals into a computer and analysing those results in order to get a tree that supports evolutionary relationships. So, in addition to your new species-you have a good comparative/evolutionary context! How LONG can Sea Urchins Live?? 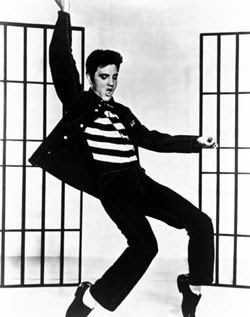 Today, I kick some neat echinoblogin' with a bang of a question! How long can sea urchins live? The info which follows is from a really neat paper by Tom Ebert (Oregon State University) and John Southon (Lawrence Livermore National Labs) in NOAA Fisheries Bulletin and can be found here. A more easily accessible popular account can be found here. 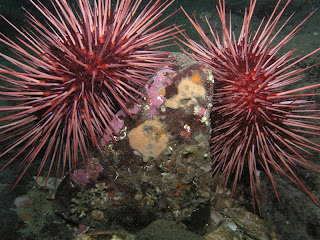 Strongylocentrotus franciscanus is the largest sea urchin on the west coast of North America and is one of the more prominent "target species" in the booming sea urchin fishery of this area. As part of the general fishery of sea urchins in general, ecologists have tried to make estimates of age in order to try and estimate how long a population of this species would theoretically take to restock...and this ties into other important questions such as how long they remain reproductively active and so forth. Prior studies attempted dyes and stains in order to try and capture regular cycles in the spines and so forth. But a lot of these studies turned out to be...problematic. Red Sea Urchins lack interpretable growth zones and tags used between 1 year tag and recapture could miss good years of growth...among other things. It turns out that because of nuclear weapons testing in the 1950's there is a permanent marker in "carbonate-based skeletal elements" . They looked at tetracycline markers in conjunction with these radiocarbon tags on teeth from the "aristotle's lantern" or "jaw" from the urchin. 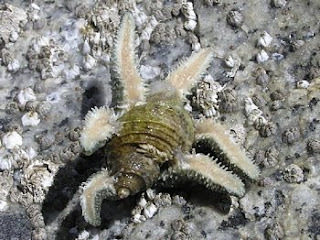 It turns out that the red sea urchin (S. franciscanus) (like the one below) can live to be OVER ONE HUNDRED YEARS OLD!!! In fact, according to the authors, the LARGEST of this species from British Columbia, Canada with body diameters over 19.0 cm and jaw lengths over 2.8 cm would be EXPECTED TO BE AROUND 200 YEARS OLD!!!! They can die from attacks by predators, specific diseases, or being harvested by fishermen. But even then, they show very few signs of age. The evidence suggests that a 100-year old urchin is just as apt to live another year, or reproduce as a 10-year old sea urchin. And how does this compare with other known species? Based on this, I suppose its probably a good thing that the red sea urchin uni isn't considered quite as tasty as the purple sea urchin uni!